"Character Actors" are those talented people who typically play unusual one-of-a-kind characters and in some cases these high caliber performances become "par for the course" or over looked by more serious or larger endeavors. This week on StrangeCultureBlog.com we take some time to highlight some personal favorite character performances from 2011. 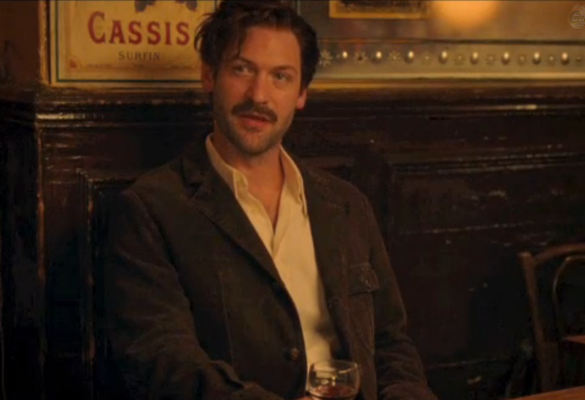 Corey Stoll's not a name I knew or someone who I was paying attention to, until his stand out performance in Midnight in Paris caught my eye. Midnight in Paris is filled with character performances that allow for a chance for actors to bring out a unique one-of-a-kind role. And with limited screen time and a Woody Allen tone, these roles have the chance to be something special in this film, and while bigger name performers do a great job (Kathy Bates, Adrian Brody, Marrion Cotillard), Stoll took the role of the philosophical adventurer to special place in the film. Stoll made me say "is he for real" and at the same time convinced me that he was Hemmingway. His performance makes me want to read some real Hemmingway imaging the Stoll caricature as the narrator. Something along the lines of the short story "Hills Like White Elephants." "All men fear death. It's a natural fear that consumes us all. We fear death because we feel that we haven't loved well enough or loved at all, which ultimately are one and the same. However, when you make love with a truly great woman, one that deserves the utmost respect in this world and one that makes you feel truly powerful, that fear of death completely disappears. Because when you are sharing your body and heart with a great woman the world fades away. You two are the only ones in the entire universe. You conquer what most lesser men have never conquered before, you have conquered a great woman's heart, the most vulnerable thing she can offer to another. Death no longer lingers in the mind. Fear no longer clouds your heart. Only passion for living, and for loving, become your sole reality. This is no easy task for it takes insurmountable courage. But remember this, for that moment when you are making love with a woman of true greatness you will feel immortal." Great insight; I so believed in him that I wouldn't have singled him out for his performance. And I thought Owen Wilson had never been as good as he was in this movie. enrich your experience by reading "The Paris Wife"